What does the Destination Madison do? 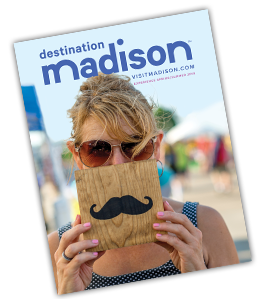 We bring leisure, sports and convention visitors to Madison, and make sure they have the best time ever. We know Madison&apos;s great, and we&apos;re out to spread the word. We&apos;re looking for team members who are passionate about their work and Madison. So, consider us for your next career move....because sometimes, the grass really is greener on the other side! Destination Madison is an Equal Opportunity/Affirmative Action Employer and we want all qualified individuals to apply. It&apos;s our policy to provide reasonable accommodations to qualified people with a disability who are applicants for employment or employees. In order to be considered for an open position, please submit a resume and cover letter in addition to our Applicant Data Sheet (optional).